CHP reports indicate that the accident happened at around 11:25 a.m. A pickup truck and sedan, both of unreported make and model, were traveling on Highway 70 near Ramirez Road. The two vehicles crashed into each other, causing major damages. Further details about how the crash happened have not been reported as of yet. Emergency response officials who responded to the crash scene reported that they found multiple people with severe injuries. At least two of these people tragically passed away at the accident scene. Both lanes of Highway 70 were blocked to traffic after the crash. Traffic officers diverted drivers onto Woodruff Lane to avoid the area. Police investigated the crash scene for evidence and workers removed the wreckage from the road. The highway was eventually re-opened at 2:00 p.m., around two and a half hours after the collision took place. Multiple vehicle accidents can be caused by many factors. These factors commonly include things like driving over the speed limit, distraction, medical issues, defective car parts, hazards in the road, and more. Fatal car accidents often leave families devastated. Suddenly having to accept that someone you care about has passed away can be very emotionally difficult. The families of people who lose their lives in accidents often find themselves overcome with complex emotions. These emotions can be intense, and it can be hard to focus on anything other than mourning. It’s important to understand that these emotions are normal and that learning how to cope with grief can take time. Unfortunately, the people who are responsible for car accidents almost always start to defend themselves right away. While it is important to take your time while working through the grieving process, calling a wrongful death lawyer is one thing you shouldn’t delay. An experienced attorney will be able to begin working on your case right away in order to make sure you get the payments you deserve from the people responsible for the crash. I’m Ed Smith, an Oroville wrongful death lawyer. 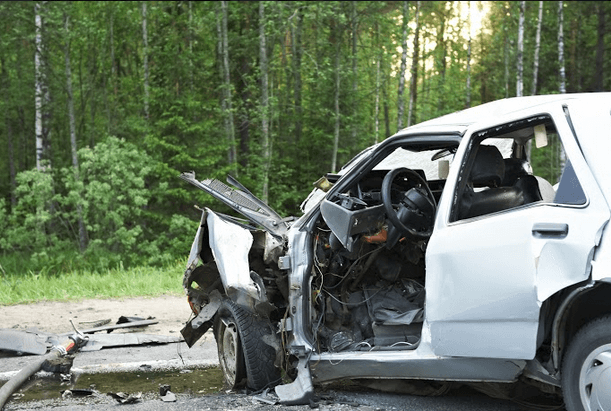 Crash injuries are often fatal. If you have suffered through losing a loved one in a crash, call me at either (800) 404-5400 or (530) 392-9400 for free, friendly advice.